SEOUL -- Rare seeds from a red lotus flower germinated by a 700-year-old seed were kept permanently in South Korea's only underground seed vault run by a state arboretum. The old lotus seed was discovered in the ancient sites of a mountain fortress in Haman, about 280 kilometers (173 miles) south of Seoul. 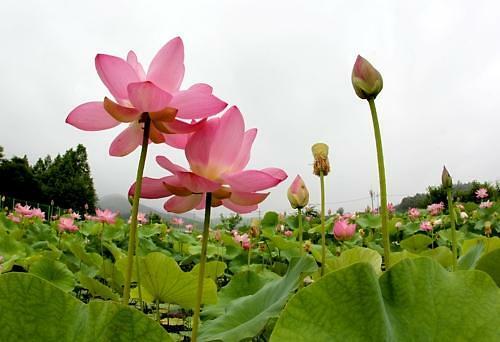 The state-run National Arboretum Baekdudaegan said Thursday that the lotus seeds kept in its seed vault have been donated by Haman County. 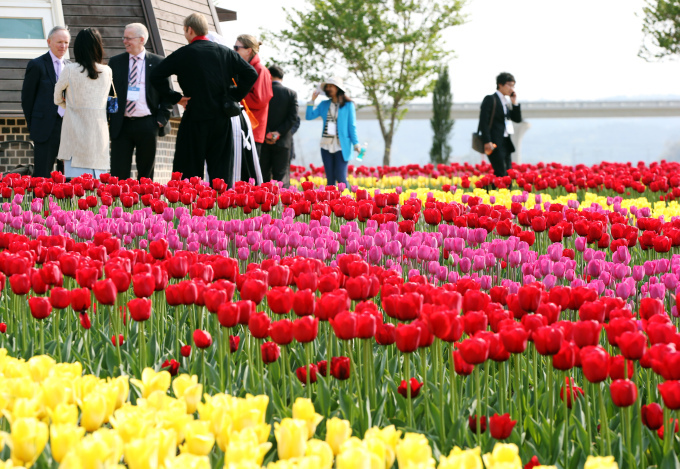 The arboretum opened in May this year in a mountainous area in Bonghwa. Archaeologists discovered ten lotus seeds, which were 650 to 760 years old, beneath a pond while excavating the ruins of the ancient fortress in Haman in 2009. Three germinated and bloomed. 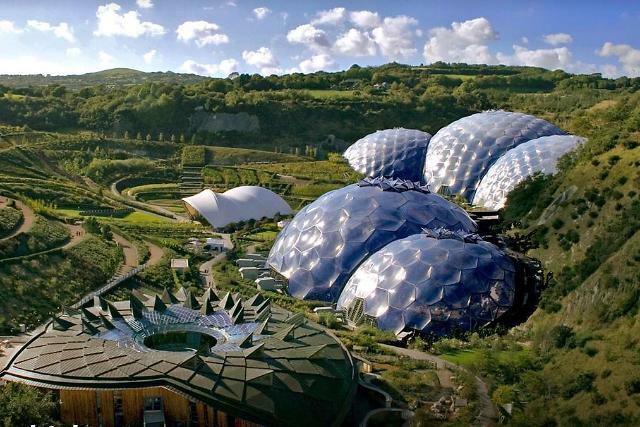 The vault with a capacity of more than 2 million seeds preserves a wide variety of plant seeds threatened by climate change with its temperature constant year-round at 20 degrees Celsius below zero. Currently, the vault houses seeds donated by institutions from all over the world. Norway has a seed vault on the island of Spitsbergen in the remote Arctic Svalbard archipelago to provide seeds to last survivors in doomsday. The seed vault was built on the island of eternal frozen earth permafrost and its facility is about 130 meters above sea level and has been tunneled 120 meters into the mountain.